Our school is part of the parish community of Sacred Heart Church, Stopsley. Sacred Heart Infant and Junior Schools opened in 1962 in the one building. The Infant School officially opened as a separate establishment in a new building in September 1967. 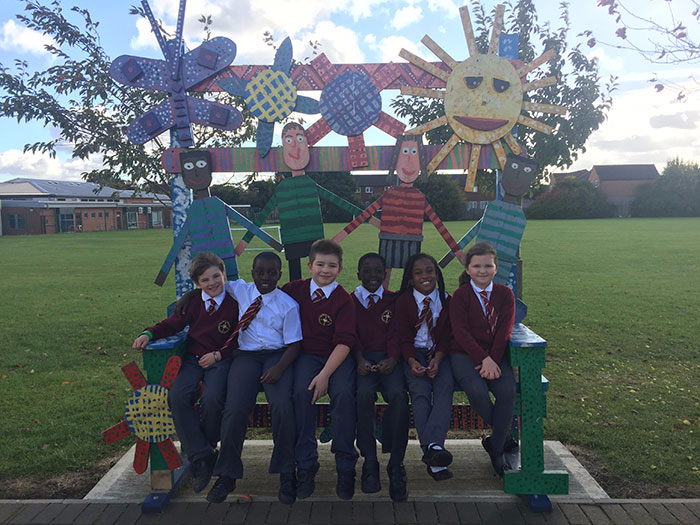 In September 2003 Sacred Heart Infant and Sacred Heart Junior Schools began a new and exciting chapter in their history as they merged to form Sacred Heart Primary School. 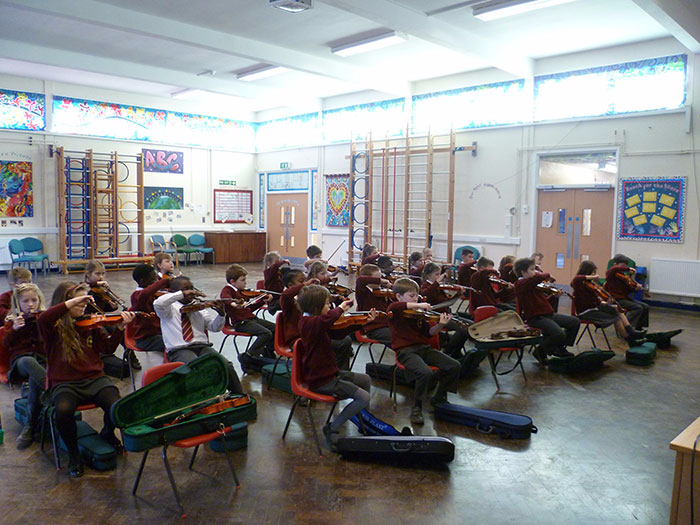 The School is situated on an open site, with separate Key Stage One and Key Stage Two buildings. Access to and from the Church is very easy as there are no roads to cross. Within the Foundation Stage, the school has a maintained 4+ unit with a separate outdoor play area. Children are supervised at all times. At the school we aim to encourage co-operation between Church, home and school to achieve the all-round education of our children - spiritually, emotionally, intellectually and physically. It is widely accepted that the process of education begins at birth and is based at home. At Sacred Heart Primary School in partnership with the Sacred Heart Parish we aim to build on and support the essential foundations laid within the family. Parents entrust us with their children; we aim to nurture and nourish the seed of Faith sown at Baptism, assisting parents in this responsibility. We encourage each child’s unique and individual growth and development, as they progress along their life journey. The children are encouraged to regard Sacred Heart as their Church and regular children's Masses take place in which the children participate. We recognise the school serves a secondary function, to supplement and complement the family influence in the vital task of education and moral development. Together with the parents we accept the responsibility to nourish our children and encourage their growth so that each child may achieve their full God given potential. As part of the Sacred Heart Parish we are a people of God gathered in Christ, united in the journey of faith, in care for one another, and in celebration. 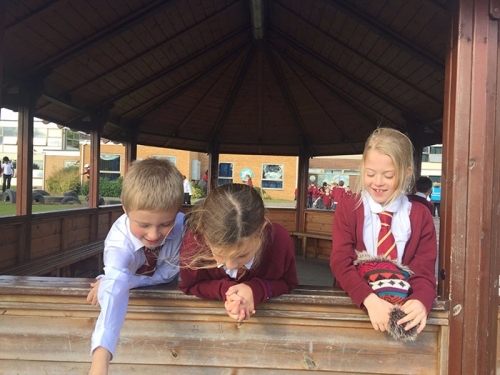 At Sacred Heart Primary School we try to encourage this three-fold partnership by welcoming members of the clergy into the school and by seeking the help and support of parents in many different ways. Parents are particularly invited to attend and take part in School Assemblies and Masses and help in the classroom or provide additional adult support on educational visits. Over the year this has helped to develop strong Parish, Home and School liaison and has undoubtedly contributed to the strong feeling of community that exists in the school.